There is nothing more exciting than getting an email to say “results are in”. I tested with Living DNA back in early November and it’s been a long wait for results. On first look I have to say their results were well worth waiting for. Living DNA is another DNA testing site that genealogists, and people with an interest in their heritage, are testing with to get a breakdown of where their relatively recent family come from. My Living DNA say that their test provides a genetic history going back approximately 6 generations. To cut a long story short (and to avoid a lot of technical and genetic detail) they basically compare my DNA to thousands of other individuals around the world. OK let’s take a look my results … like other testing sites (I’ve tested with Ancestry, ftdna, and 23andMe) it seems I am very British. 88% British according to Living DNA. 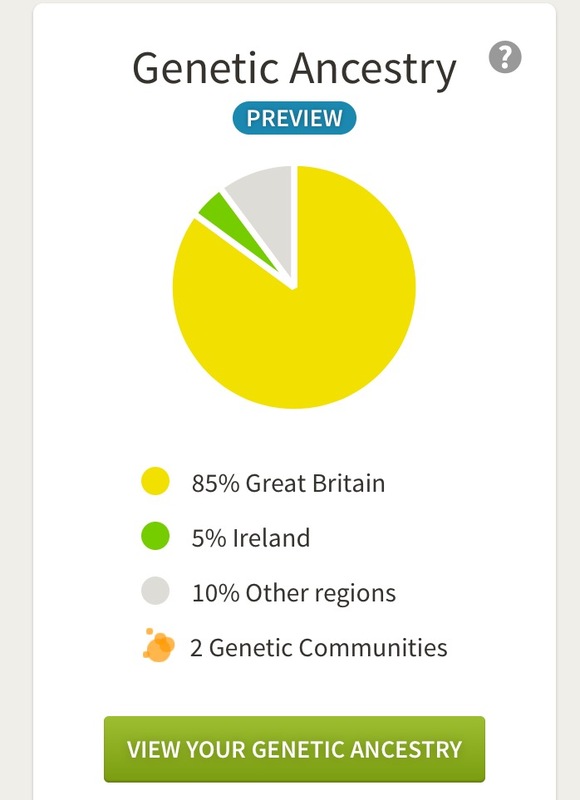 But here’s the exciting part of the Living DNA test, they breakdown the test into regions within Britain. I was very pleasantly surprised to find this matches pretty well to the paper trail research that I’ve undertaken over many many years. So I decided to go through the Living DNA breakdown and looked at how that matched up to my known family tree. I started by looking at where my great grandparents lines originated, at least back as far as I’ve been able to currently research (mostly back to around late 1600s) . I put together a quick list of where each great grandparent was known to come from. Once I had that done i tried to line this up with the breakdown from Living DNA. This is what the result looks like when I open up the regions in the Living DNA dashboard. From here I tried to match my known paper trail regions across to the Living DNA list. I’ve not really looked at percentages in any details yet, but they “feel” right in many cases. There is an elephant in the room! What on earth is the 12% Tuscany? This is completely unknown to me, and there is no Italian DNA coming up in any other test. So like all genetic genealogy, some more pieces of the puzzle are in place, but there is a lot more to do and more questions arising. I have to say I’ve found this a fascinating exercise. One of the other tests that Living DNA do is the mtDNA and if you are male they will also give you a Y DNA haplogroup too. The mtDNA result from Living DNA is H3 and this exactly the haplogroup I already knew from both 23andMe and also ftDNA’s specific mtDNA test. There are also some funky looking migration maps and a few links that are not yet working. Living DNA did note that as I am in one of the first batches of tests … that they will be adding more information and updating results as more tests are done. Looking forward to this! Very interesting, it seems that Living DNA ethnicity report is much more detailed than say Ancestry DNA. I assume a DNA test goes back infinitely in time but of course at some point becomes statistically insignificant, I am not sure when that would be. Could it be your “Elephant in the room” is the influence of the Romans which most British people would carry. 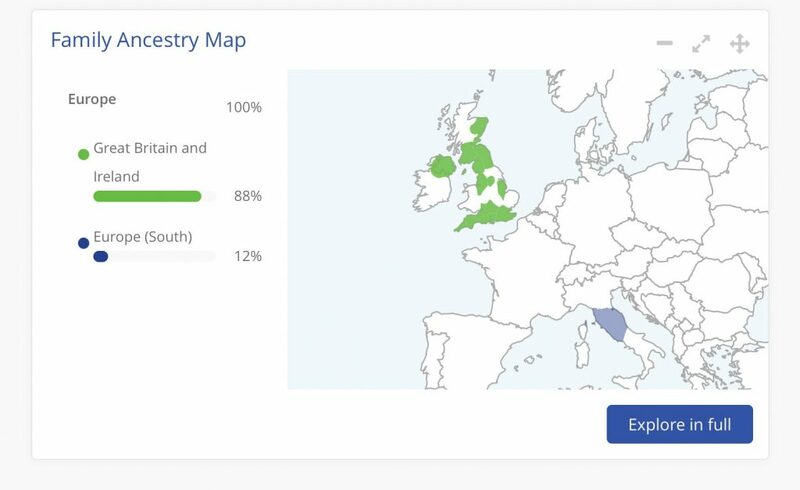 My paper trails cover a similar period and shows my ancestors about 99% from English regions over last 200-400 years, yet Ancestry DNA found me to be only 30% Great Britain, the rest made up from Western Europe (38%) Irish (21%) and trace, Scandanvia (11%). Think I need to take a Living DNA test to validate my “Englishness”. I’m hearing that a lot of people got this Tuscany result … it may be an issue given that testing is still new. I’m waiting to see if it might change in the future. It’s definitely a lot more detailed than Ancestry, but Ancestry is rolling out their Genetic Communites at the end of March and that’s going to add a lot more detail to their ethnicity estimate. I have the very same elephant in the room. Tuscany at 10%. I’m an English tester with recorded English only ancestry. They may update that in the future as more people test. I read that the Tuscany percentage seems to have turned up in lot of results unexpectantly. I also have the same elephant in the room! 3.5% Tuscany! Also 3.2% Baltic! Everything else matched well with my own research. Let’s see what happens inthe future with the results! I’m curious as to why you would have done those different dna tests done? 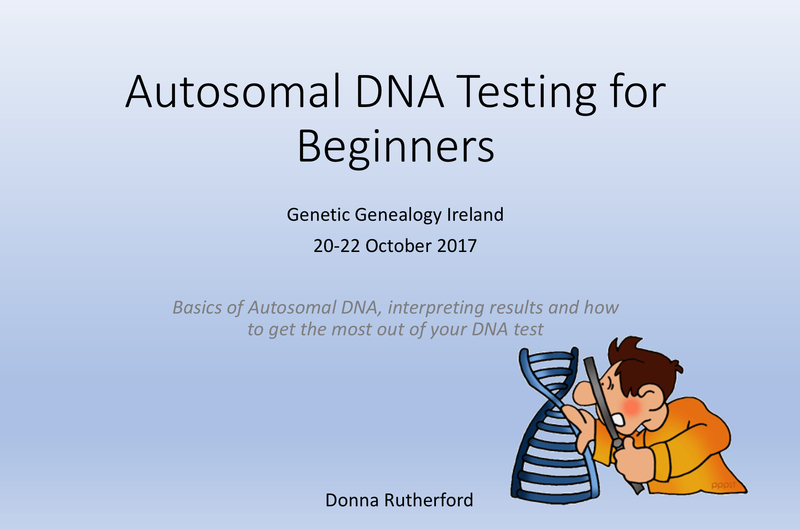 Because I’m interested in genetic genealogy and fascinated with how the tests work and how the results compare. My maternal grandmother was adopted. My family knows her birth mom’s name but nothing else. 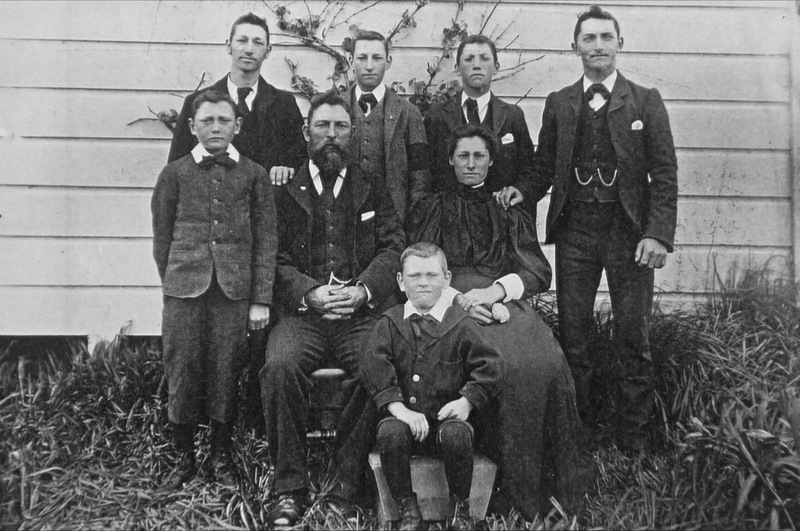 Would mito DNA testing helpnus find relatives and solve a 108 yeat old mystery? 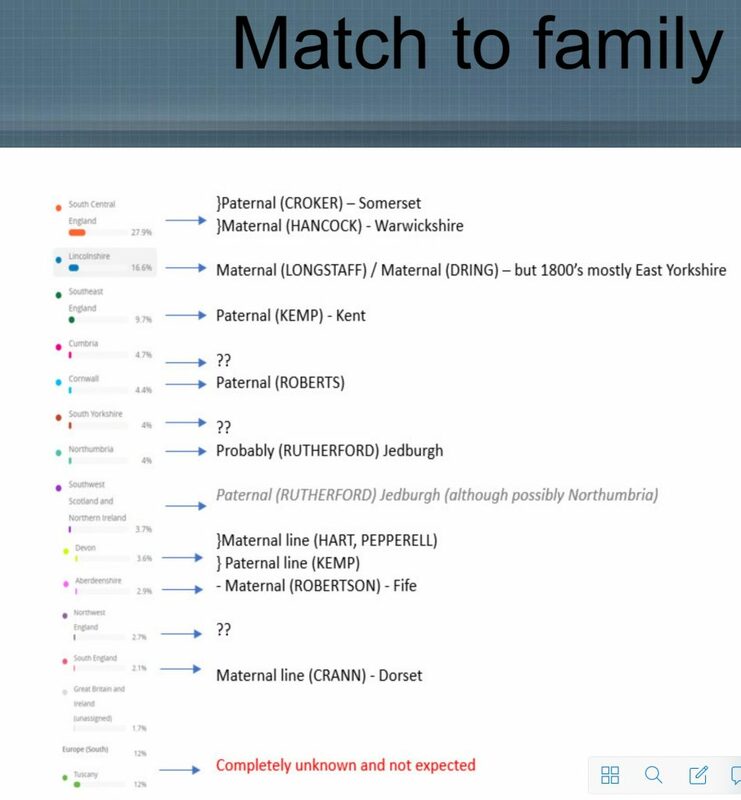 MtDNA (mitochondrial DNA) does trace the mothers mothers mothers line, but for genealogy purposes it might not be the best test to take. Because there are only small numbers of people who have tested (compared to autosomal DNA testing), and also due to how mtDNA mutates. MtDNA mutates much slower than other types of DNA and therefore if you do find matches they may be people who have a common ancestor with you, thousands of years ago. 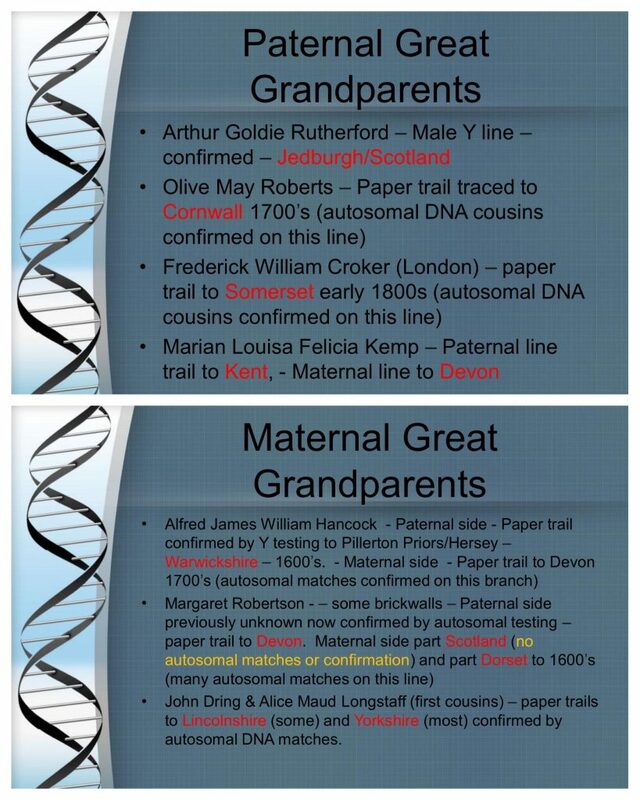 For finding biological family within the genealogical time frame (last 5-6 generations) I would recommend starting with an autosomal DNA test with one of the major DNA testing companies. Just got my book from them and all I can say is what a total rip-off, just a really expensive glossy reprint of the general info that’s on the site with maybe 55 pertaining to me which was nothing more than what was on the site in the 1st place. Now for their “test” it’s almost useless as far as a novice would like, general timelines with no dates, same Tuscany thing also, a lot of crappy useless info about human migration you can get from a quick Google search. I’m utterly embarrassed to show this to people I know and tell them what it cost in total $220 and would never now tell them this is the best way to look at your line, those 5 star reviews I saw I think were just lies. Way to glowing , should have known. Skip these people utterly, 0 stars. What a shame you didn’t find it as interesting and fascinating as others have. If nothing else you have invested in any future updates they will give. In fact they are working on matching now, so by mid next year they plan to have matching in place for all of us who have tested. Also as mentioned in another comment, you can now download your file and upload it at Gedmatch Genesis for matching. Although tests can be disappointing for some, these companies are continuing to evolve and provide more updates (usually free updates once you’ve tested). I do think that any DNA testing with the main companies (including LivingDNA) is an investment. I hope you get some future benefit from your purchase. Many British get Tuscans on Living DNA. Both the Etruscans and the Latins descended from the Proto-Villanovans. 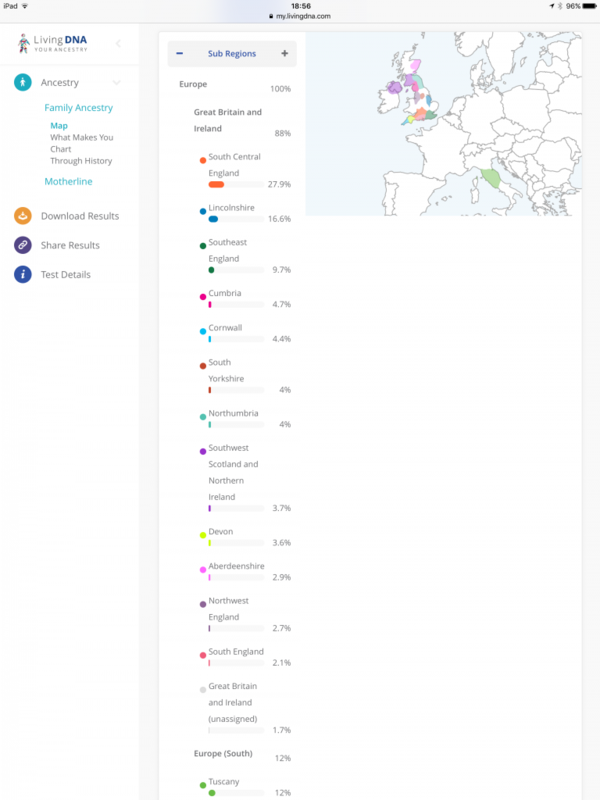 As I have always had a passion for Italy and in fact live here, I was a bit disappointed that the Tuscan part did not show up in my DNA but instead 22% Scandinavian. I am still wondering where that came from , Frisians and Normans perhaps. Jutes, and Danes come from Scandinavia, and have left a major impact on English populations. It is not surprising that English people would have Scandinavian ancestry.